Don’t you have better things to do on the weekend than laying down turf? Dual Group can save you time on turf laying, preparation and maintenance with a complete outdoor gardening service. No matter how big or small your outdoor space, you can have freshly harvested turf delivered to you. And laid down by professionals who get the job done with minimal fuss. With a fresh batch of premium quality turf, your lawn will look stunning and bring you compliments galore from friends, family and the neighbours. And if you want to have your turf professionally maintained all year long – there are no contract agreements to tie you down. What else do you get with a professional turf laying service in Sydney? Call Dual Group on 1300 303 539 to get a FREE quote on turf laying services. Preparing the soil is essential to a healthy and vibrant new lawn. We prepare the surface by removing the old lawn and removing the weeds, rocks and debris. We also assess the soil type, rotary hoe it down do the desired depth, and make sure the consistency is even before installing the new turf. Without the need to purchase or hire your own equipment, Dual Group makes your life easier by taking care of the preparation on your behalf. What better way to enjoy your new turf than having it delivered and laid down on the same day? Now you can have a fresh batch of turf supplied to you on a day and time that’s convenient for you. Backed by the quality assurance of an experienced team, your turf is transported from the truck and professionally laid down to your exact requirements. From the moment the roots touch the earth, your new turf is freshly watered to promote newfound growth. Caring for your lawn is a wonderful experience and the team wants you to enjoy every moment. After laying down the turf, you get professional advice on maintaining your lawn and recommended products to keep it in tip-top shape. You get everything you need to feel confident and informed on exactly how to keep your lawn looking fantastic all year long. 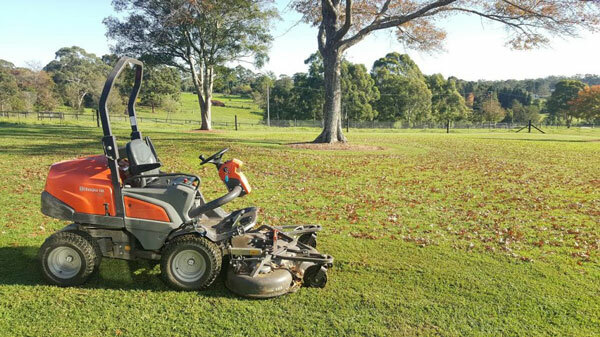 You probably have better things to do than laying and maintaining turf in Sydney. Dual Group offers a valuable service that lets you enjoy the benefits of a beautiful outdoor space… without the need to get your hands dirty. From consultation to installation, the team is with you every step of the way to achieve the best outcome. Call 1300 303 539 or fill out the online form to get a FREE quote.